Because the wearer of each ring is unique, the ring itself should have beauty and character all its own. We make it my highest priority to ensure that each client we work with arrives at the perfect ring design for them. Education about the various ring styles that are available along with some examples of modern trends goes a long way in helping our clients learn what their engagement ring design options are. Listening to the client’s preferences as well as hearing about what inspires them helps us form a clearer picture of the ring design that would suit them best. A private, intimate buying experience helps to facilitate this. Design feedback is always considered part of the intimate service each of our clients receives, whether it’s during an initial appointment or when reviewing the final design draft. We cannot be successful unless we’re able to make our custom engagement rings unique and tailored to the wearer. By combining a fantastic ring choice with proven expertise and industry pedigree, we provide our clients with more ring for their budget, every time. Choosing the diamond for a custom engagement ring is often one of the most overwhelming steps for many of our clients. There are so many options to choose from and so many different mounting pairings to consider – it’s for these reasons that having a partner like us at your side is so incredibly helpful. We use your budget and aesthetic preferences to narrow down your choices to the highest quality, most breathtaking diamonds your money can buy. And, because the gems we work with are almost always graded by the Gemological Institute of America (GIA), you can rest assured that the objective quality of your diamond will never be in question. Delicate. Bold. Illuminating. Subtle. 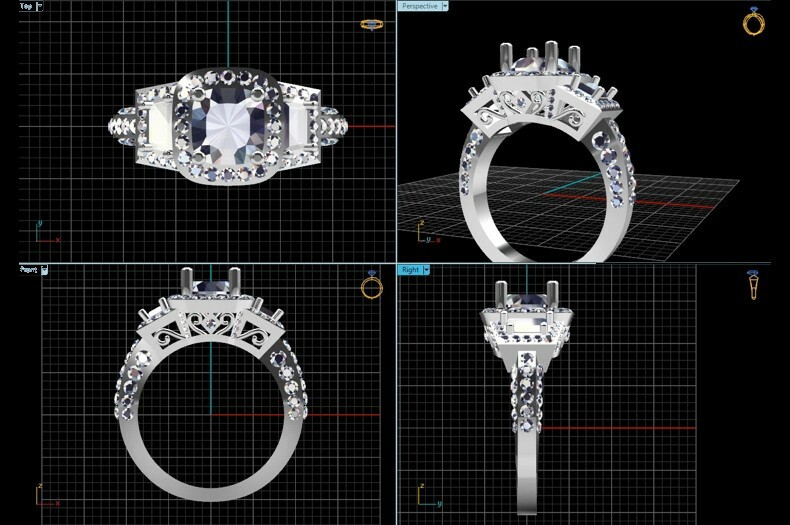 There are many directions you can go in the design of the perfect ring mounting. A properly matched mounting should complement the natural angles and presentation of the diamond, something we help you identify as you evaluate your options. Whether the wearer’s tastes are dramatic and stylish or subdued and simplistic, we work with you to forge the ideal marriage of a mounting with its diamond. Because we want every client to be 100% ecstatic about their ring design, we provide wax models of every ring before fabrication begins. This allows the wearer to get a real feel for how the ring will look and fit on the finger. 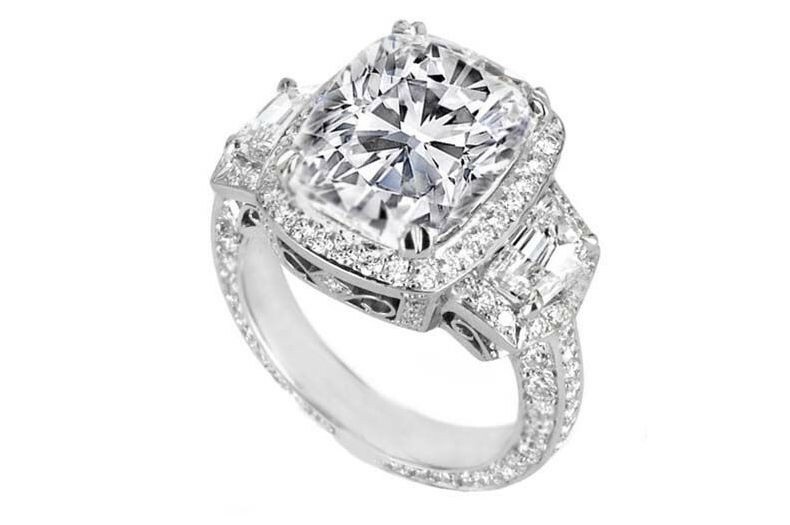 Are you ready to start the conversation that will lead you to your ideal custom ring design? Schedule an appointment with us today and learn why we are Denver’s premier custom ring designer.